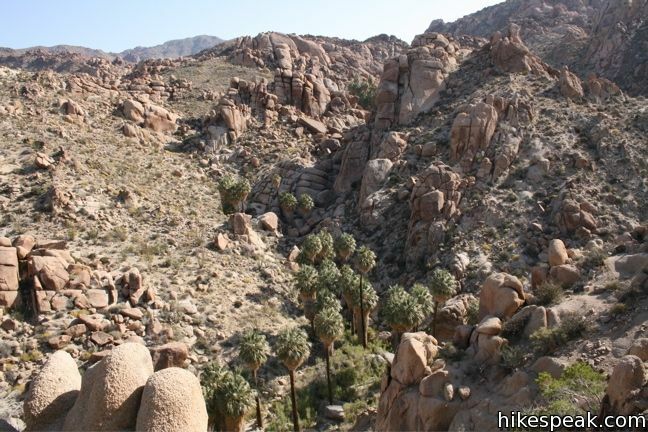 The hike to Lost Palms Oasis departs from Cottonwood Spring on the east side of Joshua Tree. 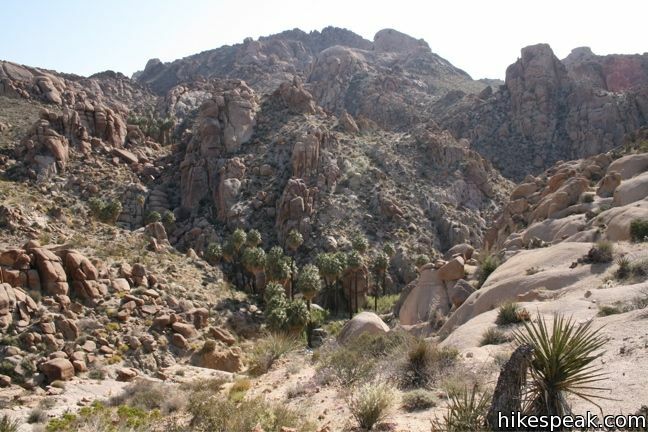 A smaller oasis, Cottonwood Springs Oasis, is actually right at the trailhead. 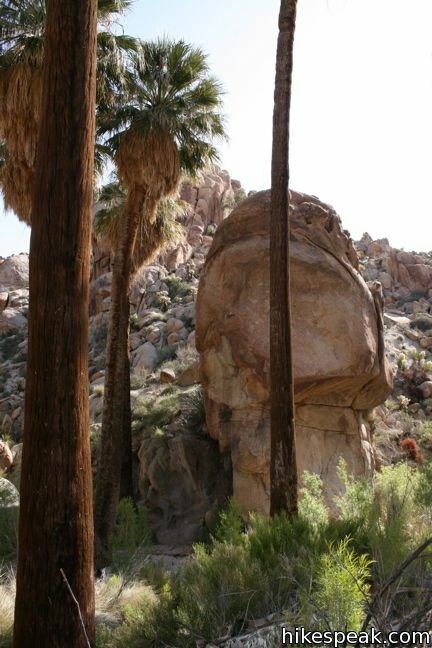 From there, the trail heads east on a 7.2-mile round trip track to Lost Palms Oasis. 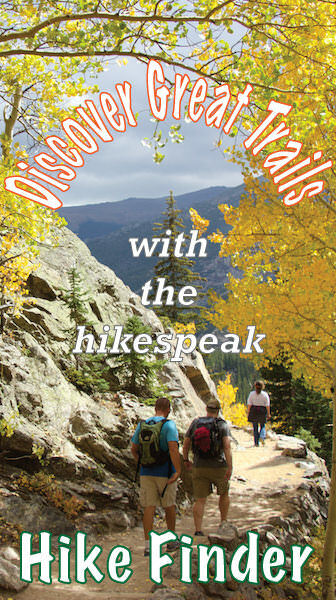 The short trek to Mastodon Peak can be visited in combination with this hike as they share the same trail for half a mile. 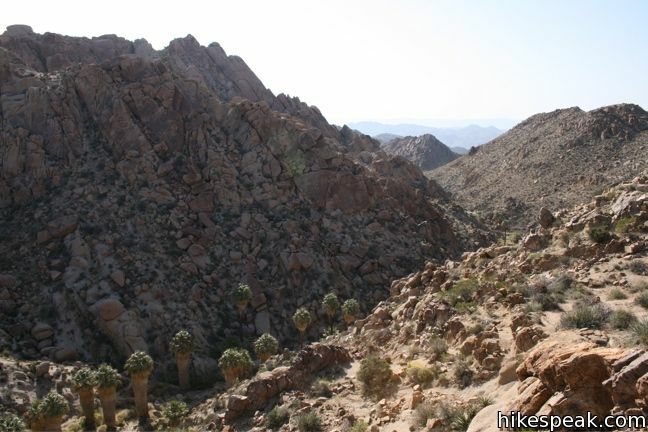 Follow the markers for Lost Palms and hike across the desert on coarse sand. In the spring, the wildflower bloom here can be spectacular. 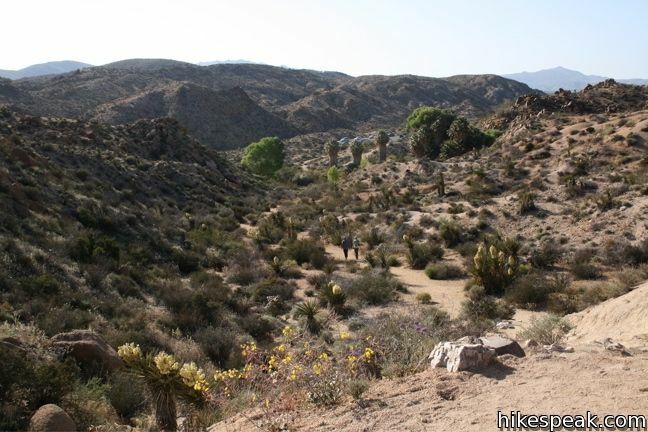 The trail leads in and out of various washes over fairly level terrain, before descending through a canyon to a bluff overlooking the oasis. 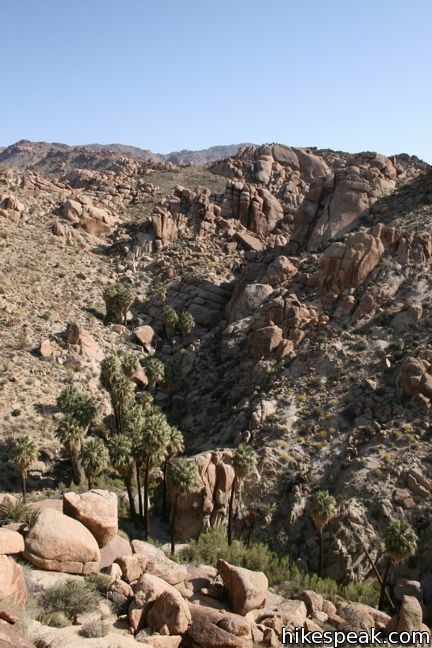 Nestled between mountains, Lost Palms Oasis is often rated as Joshua Tree’s nicest. 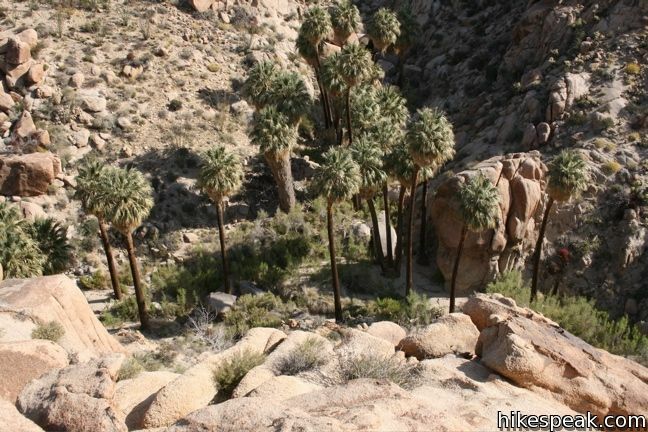 From the overlook, a steep path descends to the oasis. 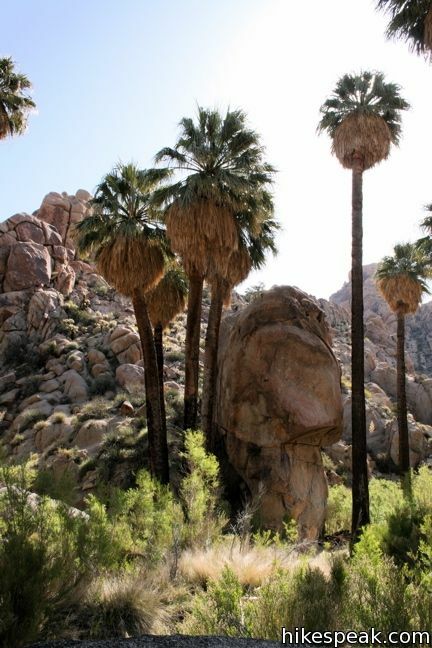 Walk among the palms and relish in the shade before returning the way you came. 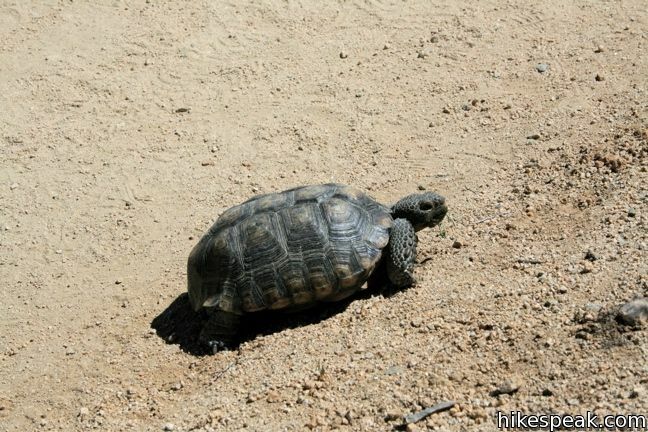 Pack plenty of water and sunscreen (or consider Fortynine Palms Oasis for a shorter oasis hike in Joshua Tree National Park). 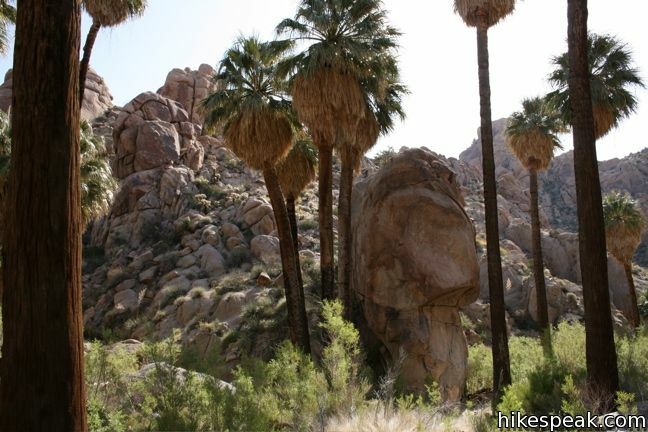 To get to the trailhead: From the 10 Freeway, take exit 168 and head north on Cottonwood Spring Road. 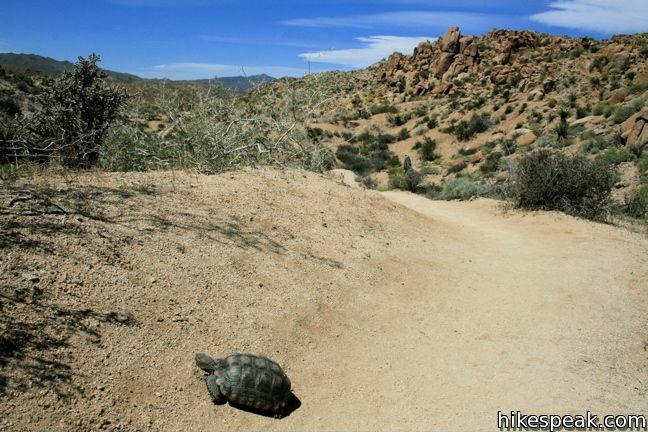 After 7 miles, turn right before the at Cottonwood Visitor Center and continue 1 mile to the trailhead at road’s end. From within the park, Take Park Blvd to the junction with Pinto Basin Road. 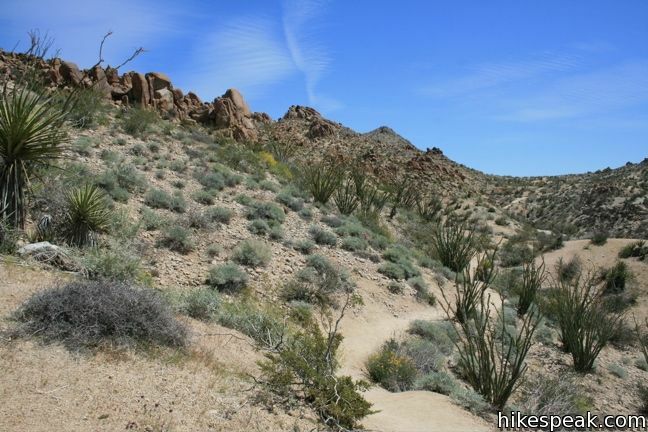 Take Pinto Basin Road thirty miles to the Cottonwood Visitor Center, turn east and continue one mile to the trailhead at road’s end. These photos were taken in April of 2008 and April of 2010. Click to enlarge. 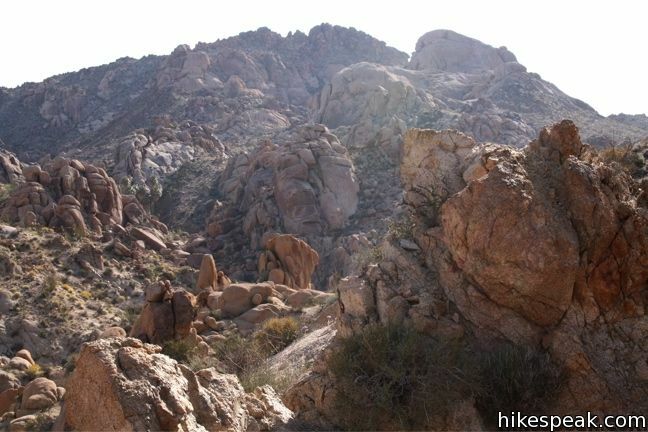 This 3-mile round trip hike offers summit views from the center of Joshua Tree National Park. 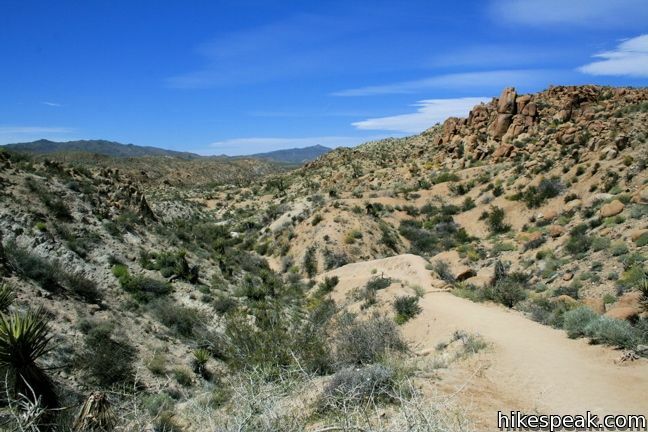 This 4-mile round trip trail visits a well-preserved mine and mill.